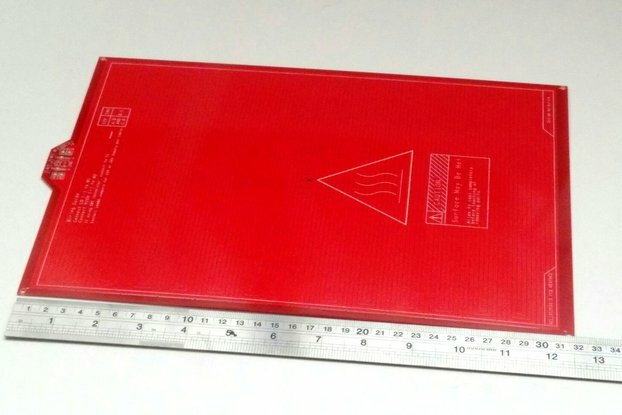 This is the most famous and supported board for 3D printing, from the RepRap community. RAMPS expands the Arduino Mega with all the features that you will need for your 3d printer. It is easy to use, low cost, and it has lots of expansions. 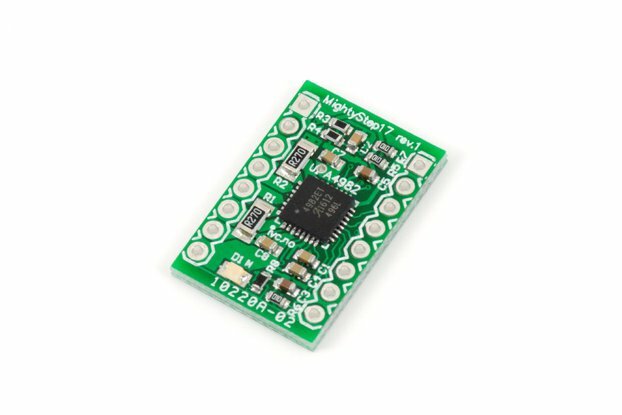 To make a solid product, we choose quality components and protection diodes to make this board perfect for long hours of printing. We manufacture and test the board in Spain. This board has been a total success on the Spanish Reprap community, with hundreds of boards already shipped during the last months. Power outputs protected with schottky diodes. Pins for 6 limit switch. Like everybody else, we got our RAMPS from cheap china dealers. But after a while, they get burned, damaged and useless. This RAMPS 1.4 SB has premium quality components for a long life. Quality prints need long hours of usage and heat will destroy any cheap connector or MOSFETs. 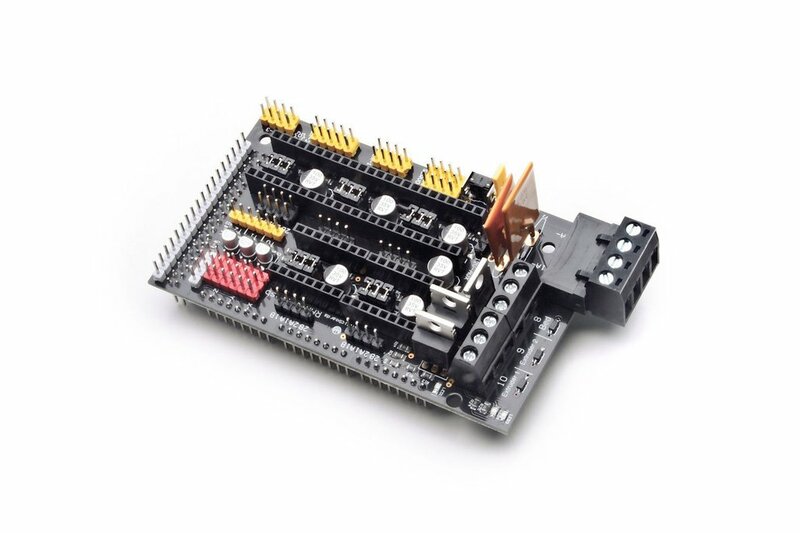 The power connectors are from Molex, rated at 15A to support the current that your heat bed will need. We choose a solid Toshiba MOSFET rated to support 70A continuously, with a peak of 178A and 120V of voltage. But the most important feature is a very low resistance, keeping them at low temperature. Don't use more fans to cool the transistors. Your extruder and heat bed will send back electricity each pulse at high voltages, damaging the electronics over time. We included a protecting schottky diode 1N5819 for each power output. If you are tired of burned RAMPS and you want a cool product made in Europe, this is your product. You will need one Arduino Mega and pololu drivers. They are not included. For Europe, USA, Canada and the rest of the world, we use International Express Shipping. We provide the international tracking number. Using the spanish postal service, you can track when the package will leave the country, but you have to use your local postal company to track when the package will be delivered to your address. Note that in some cases, it is possible that you have to pay local taxes or some fee for customs. Of course, this product was coming from Spain but it took nearly as long to receive it as it does when ordering parts from China. That said, the quality of this device *far* exceeds anything you'd get from China. Love RAMPS 1.4 SB !! I just received it yesterday, The product made by high quality components. Although it's much more price than cheap china board but I think it worth to buy. My opinion the power terminal soldered back of the PCB board.It stuck with arduino mega's power jack 2.1mm when assembly together but no problem. Nearly perfect in all aspects. Super solid board, MOSFETs on the heating circuits never get hot, even without active cooling, the documentation was on point and easy to read, seller had all the answers when I asked questions. The only things I think could be improved is better shipper communication (not seller's fault in the least), and one small issue on the power input ports: there was a bit of extra solder on those pins that I had to clean off with some flush cutters. That only took a few seconds, and was more in the manner of a small cleanup task than an actual issue. Will absolutely buy again for my next build in a few months. 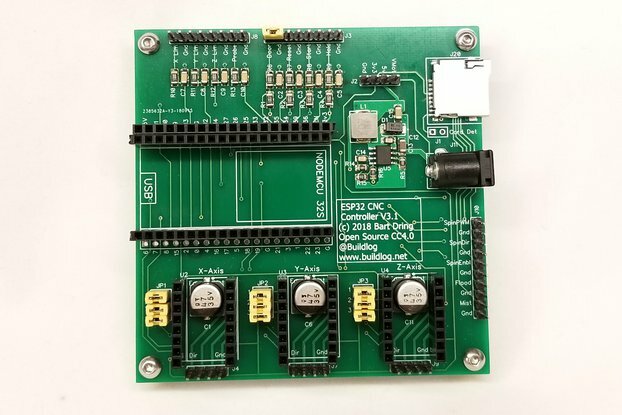 Excellent quality board, but slow international shipping. Ordering and shipping from supplier very prompt and efficient. Regular shipping from Spain to Canada is very slow (about 4 weeks in this case), but out of control of the shipper and receiver. Packaging was very good. Build quality of board excellent and I cant wait to connect it up. I would order again from this supplier and would recommend to others. Faster shipping options, although more expensive, would be an option. I agree with you that mail shipping is a very annoying problem. We will talk with tindie to find options for different carriers and companies. At this moment, we can ship to canada for a modest price using a transport agency. I've been through a few RAMPS vendors, and anyone looking for a reliable, high quality RAMPS should immediately purchase this board. Mosfets do not overheat and quickly heat the bed and extruder. The diodes barely warm while everything comes up to temp. You can really tell that this is a high quality board and works wonderfully. For anyone who cares about shipping speed, it can take some time for the board to ship. The vendor's chosen shipping vendor also has very low communication, so don't panic like me when you don't see any tracking updates until the package actually shows up at your door. It was definitely worth the wait, however. All considered, the vendor has provided an amazing product with wonderful support. 10/10. Very nice board. Brand name Molex connectors, quality construction, and the stepper drivers sit snugly in their respective slots. The pads even appear to be gold plated. I've received the board and using it for a few days now. The components are really top quality and the soldiering is also very good. The seller shipped the package as soon as possible. Thank you very much for your review!!! So far so good, extremely clean soldering and a great looking board. Stepper drivers insert smoothly and don't hit each other as they did with my generic ramps. Additional silk screened labels are great and in general seems to be working well (time will tell of course). Running with TMC2100 drivers at the moment. Just received the item through international shipping. It took 7 workdays. Haven't tested yet, but the parts and soldering looks really solid. Visual inspection passed! Very pleased with the quality. Quality of physics product OK ! I back directly after test ! Amazing quality and great support! This is a great RAMPs board at a decent price. The components are high quality and the soldering is excellent. Overall a solid board; better quality than the ones you will purchase on eBay. I did have to trim one joint for it to fit flush to Arduino Mega but other than that all the other joints look good. If all goes well I will def. be purchasing a couple more. Unfortunately, the original design on the RAMPS does not address this well, and good connectors have strong pins that will go deep to the power jack. I am glad to hear from you again in the future! Manufactured and designed with great care to detail - I can only recommend it. Thank you, Javier, I'll get back to you if I ever need another (most likely in the next project). Wow, thank you very much !! If you're thinking of purchasing a RAMPS board for anything, this is THE one to buy. I've owned two others that, yeah, they worked, but were pretty cheap in terms of components. I'm building a 3D printer and put a lot of work into making the rest of the thing nice, so decided to get the nicest board I could for longevity and quality - I am very pleased with this one. Quality workmanship, works great, and I got it shipped from Spain to the US in less than a week for really not much more than it would cost to get a crappy board. There's even some added functionality that you don't see on others (diode protection on D8-D10) If I have to purchase another board to replace any others that fail in the future, this is what I'll be buying! Great work. I got 2 and tested at the moment only 1(the 2nd is a spare part) . What to say? Nothing else than GREAT PRODUCT. 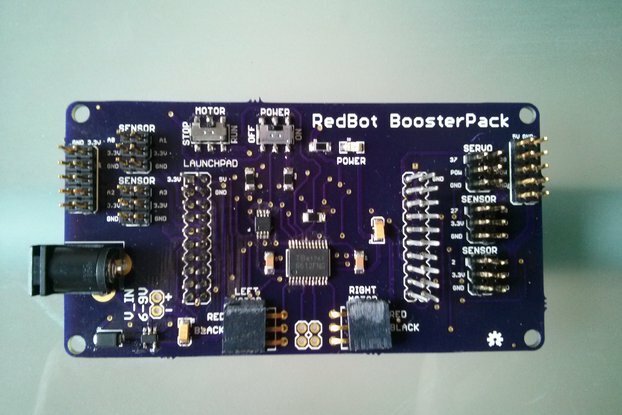 Compared to the other, cheaper, RAMPS boards I have bought this is a much better proposition altogether. Very well made, looks much nicer and works a treat.